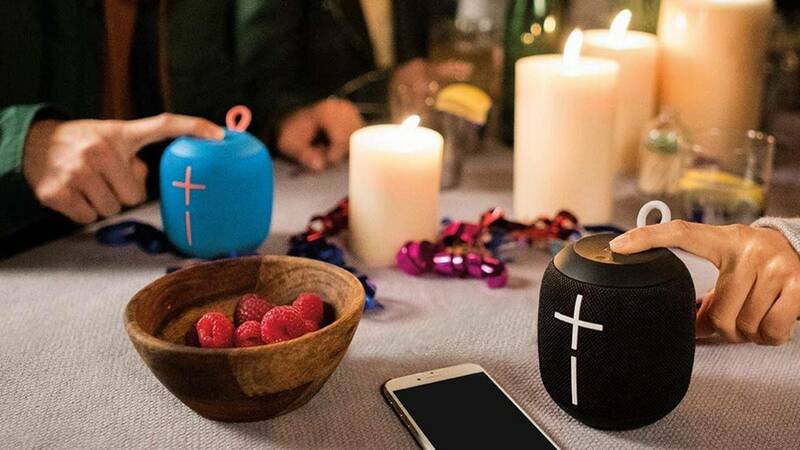 Bluetooth speakers are the perfect choice for outdoor use. We present the best options so you can enjoy your favorite outdoor music in spring and summer. 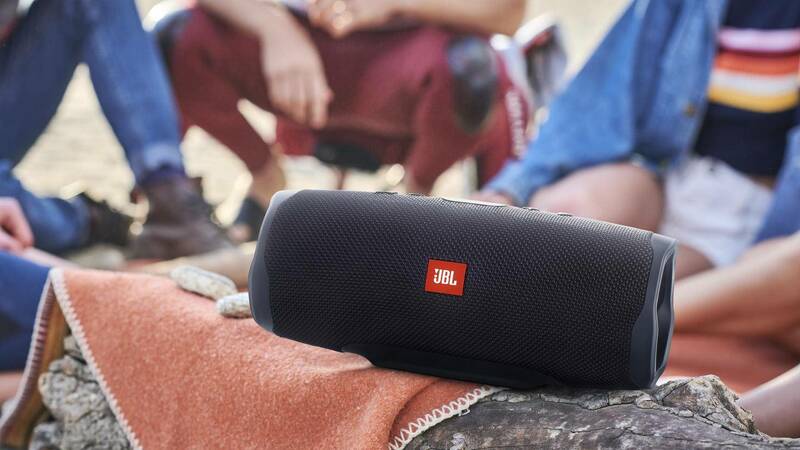 The JBL Charge 4 combines great sound with high flexibility. When it comes to Bluetooth speakers with good sound, then a name has been playing in the First League for years. We are talking about JBL, whose current batch 4 again shows how compact dimensions, wireless music enjoyment and a robust design can be combined. The JBL Charge 4 is splash-proof according to the IPX7 standard and should even survive a brief immersion. The manufacturer also promises a playback time of up to 20 hours with a charge at medium volume. It is also great that there are the Bluetooth speakers in countless color variations. The UE Wonderboom does not sound as cute as it looks. Ultimate Ears is one of the big names when it comes to making speakers compact, portable and flexible. The Wonderboom is a very small speaker, but sounds much larger than it initially seems. Also the bass reproduction is more than amazing considering the compact design. The UE Wonderboom is waterproof and should last for up to ten hours according to the manufacturer with one battery charge. 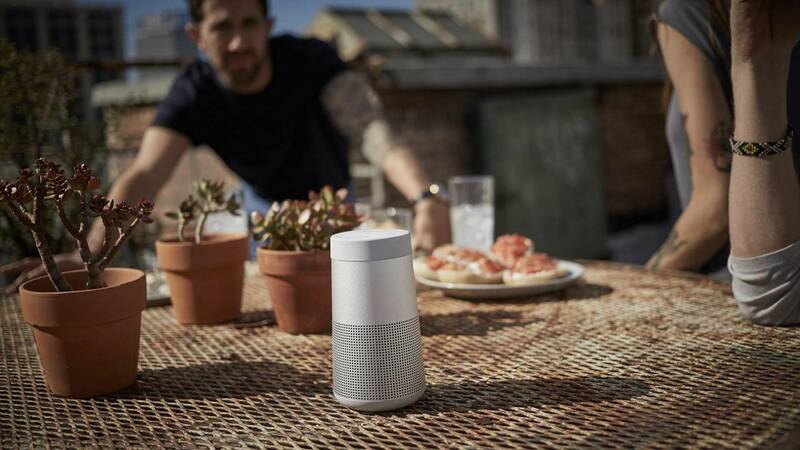 Another special feature is that the small speaker can connect to up to two devices at the same time. The SRS-XB41 is the current top model from Sony. Sony also plays in the top league of Bluetooth speakers with its XB40 series. The current SRS-XB41 is aimed at all those who value an extra portion of bass. Among the compact and wireless speakers, there is hardly a device that can hold the XB41 low in the water range. Another special feature is the optionally switchable lighting that adapts to the music and makes the speaker an eye-catcher at any party. The battery life is Sony with a maximum of 24 hours. But then without extra bass and without the lighting. If both are activated, the SRS-XB41 should still last a maximum of 14 hours. The Ultimate Ears Boom 3 is very durable. Ultimate Ears can also be bigger: With the cylindrical boom 3, the manufacturer offers a 360-degree speaker with a surprisingly strong sound. 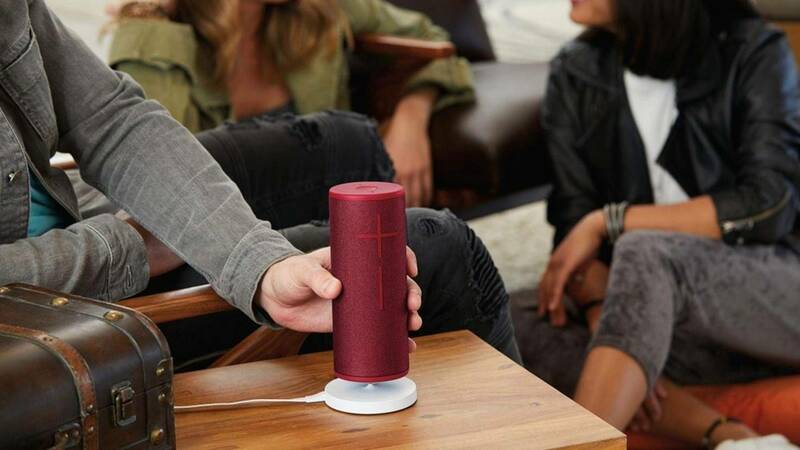 The mobile speaker stands out from the competition above all because of its enormous durability. So he should be able to withstand falls from table height, according to the manufacturer. If you are traveling with the UE Boom 3, you can enjoy up to 15 hours of music – thanks to IP67 certification, even if it gets a little wet. Convenient: The Ultimate Ears app can be paired multiple speakers, so as to sound a larger party too. The anchor Soundcore Flare + comes with integrated party lighting. Anker has also held a number of shares for a long time when it comes to mobile soundgenus. With the compact loudspeaker Soundcare Flare +, the manufacturer relies on a 360-degree design and leaves nothing to be desired. Rich basses! Lighting effects to match the music! IP67 water protection! – all basics are served by the Soundcore Flare +. In addition, the manufacturer offers the possibility to pair two of the speakers for a wireless stereo mode. 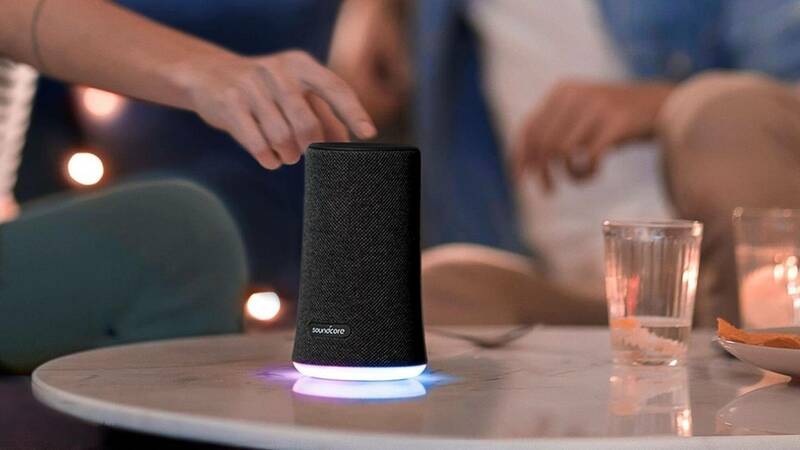 The Bose Soundlink Revolve offers a very discreet design. Compared to the competition, the Bose Soundlink Revolve looks much more subtle and stylish. The optionally available in black or white metal cylinder exudes an almost cool grandeur, as expected from the brand. Nevertheless, the surprisingly small speaker should not be underestimated. Sonically Bose plays in the first league and visually anyway. But the Bluetooth speaker has all the other tricks on it, which are elementary for a Bluetooth speaker. It withstands falls, is protected against splashing water and lasts up to twelve hours on battery power. The Soundlink Revolve is therefore fully suitable for outdoor use. The LG PK5 is a small party box. The LG PK5 is visually pretty much the opposite of the Bose Soundlink. 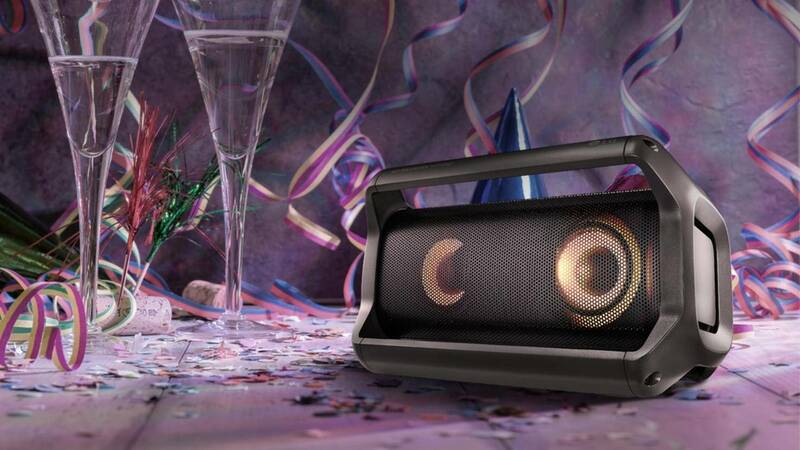 This speaker does not want to look discreet, but looks like a party. The design with the two massive handles is quite practical, but it serves for transport. In terms of sound, LG relies on rich bass for an altogether quite balanced tuning, which was carried out in collaboration with the sound experts from Meridian. 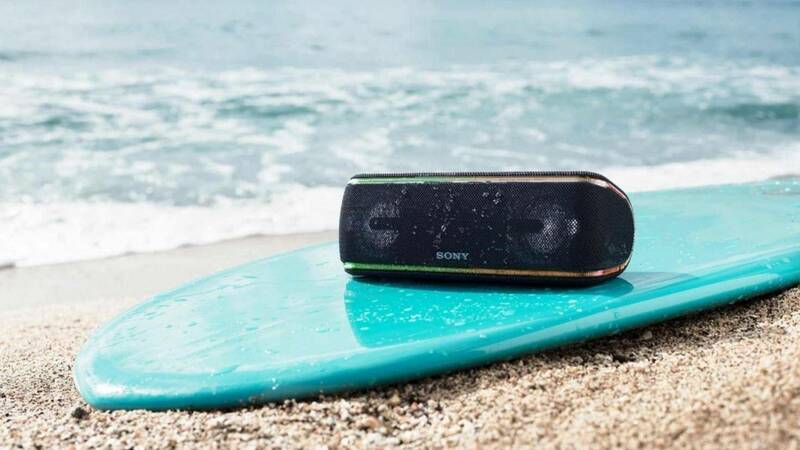 Similar to the Sony XB41, the PK5 has the right party lighting on board, and the small speaker is also protected against splashing water. By the way, according to the manufacturer, battery life is up to 15 hours in play.